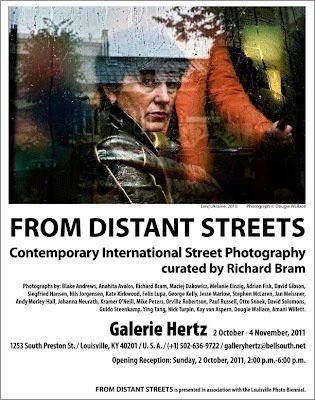 Just received this flyer from Richard Bram who has put together what promises to be a very strong exhibition of street photography opening soon in Louisville. Unfortunately I won't see this in person but I encourage anyone within easy driving distance to check it out. That means you, Cincinnati. And Nashville. Also Columbus, St. Louis, Dayton, Indianapolis, Lexington, Chicago, and Paducah. Plot those burgs on a map and I needn't remind you what shape is formed. I know, I know, crazy right? 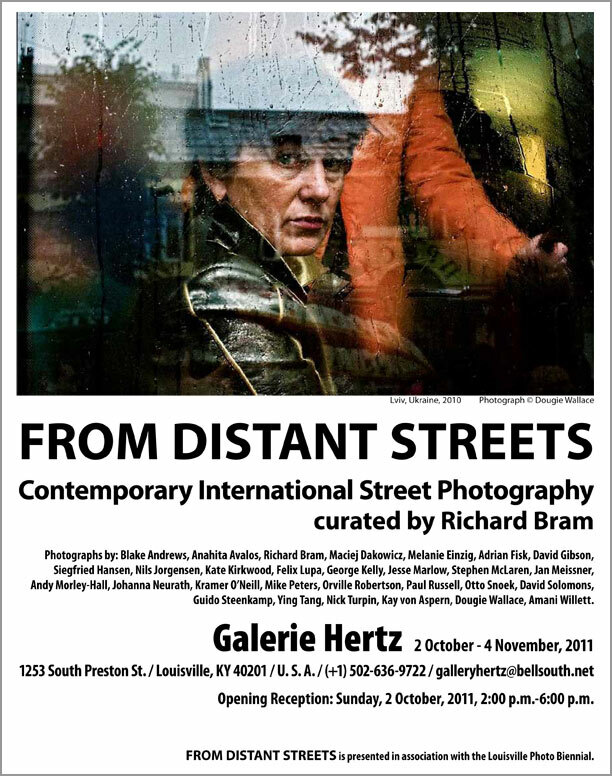 But not nearly as strange as when you plot the hometowns of all the photographers in the show. Big mangled spider web shape. Trust me, I've done it. Thanks for organizing, Richard. Looks good.